A couple of weeks ago we had lunch at my brother and sister-in-law’s place. 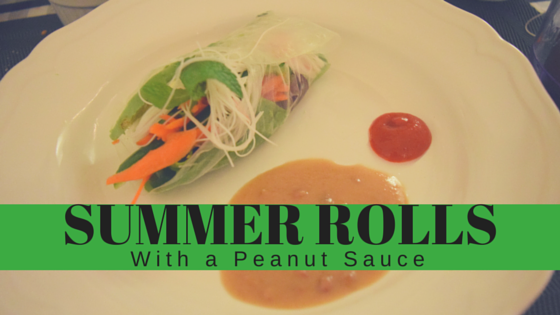 They served us vegan summer rolls, and it was phenomenal. 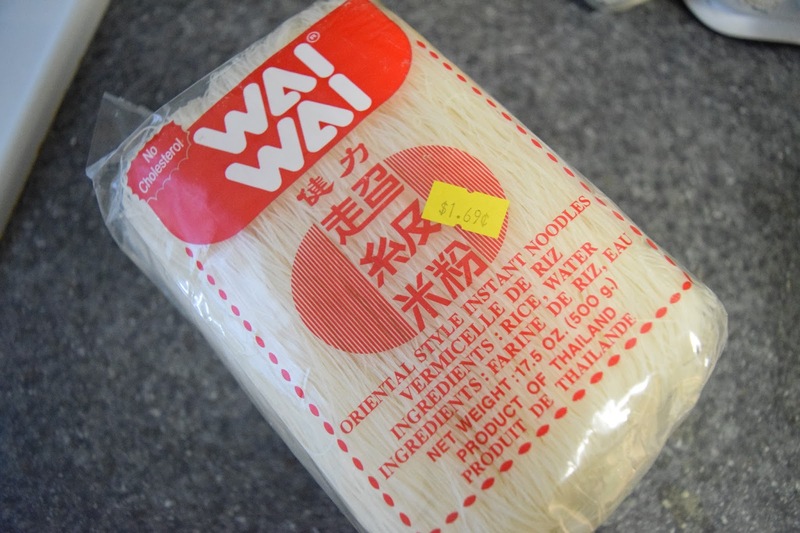 We had a bunch of produce nearing its end and, so I decided for our supper on Tuesday I’d get rice noodles and rice rolling paper, both from our corner market. It cost about $4. 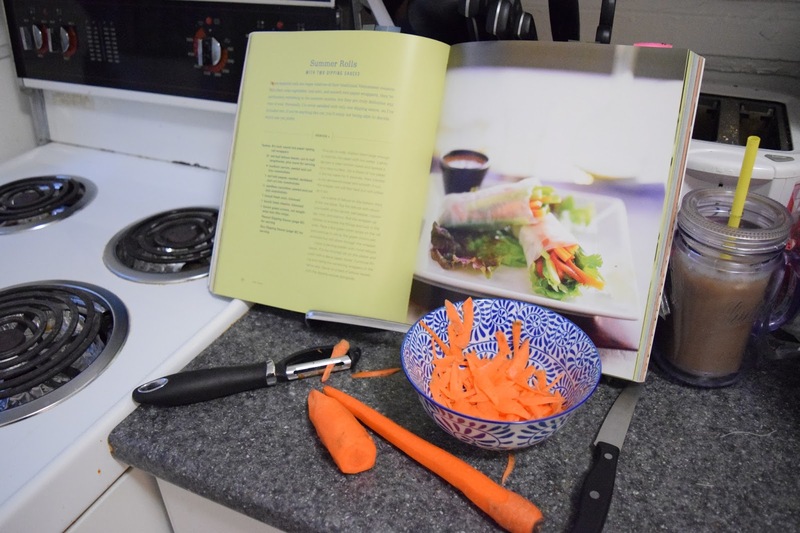 There are lots of websites with recipes for how to make the rice rolls, but I found one in my Pure Vegan cookbook. 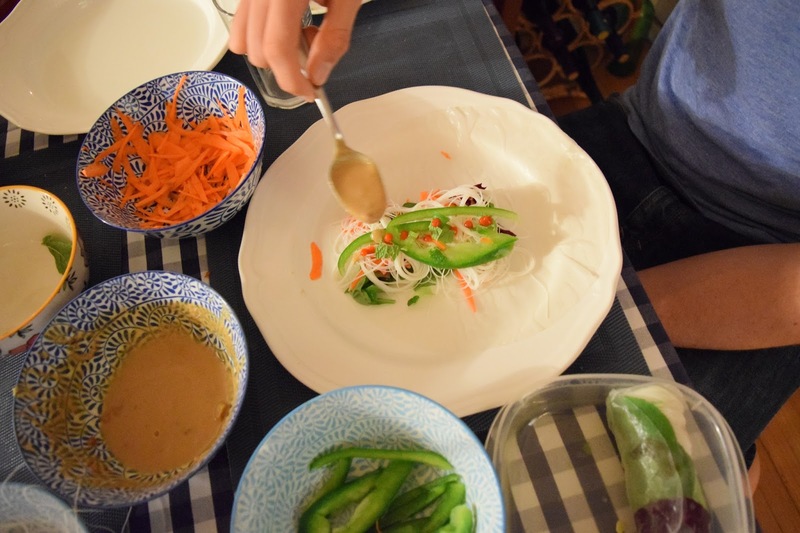 Basically throw a bunch of vegetables and rice noodles into your wrap, then make a peanut sauce to dip it in. If we had rice wine vinegar I would have also made a sweet chili sauce. Try this recipe from Epicurious, it’s much simpler than the Pure Vegan one, but probably just as delicious. Rice noodles fill out the rolls to give you a little more substance. Grate or thinly slice your vegetables. 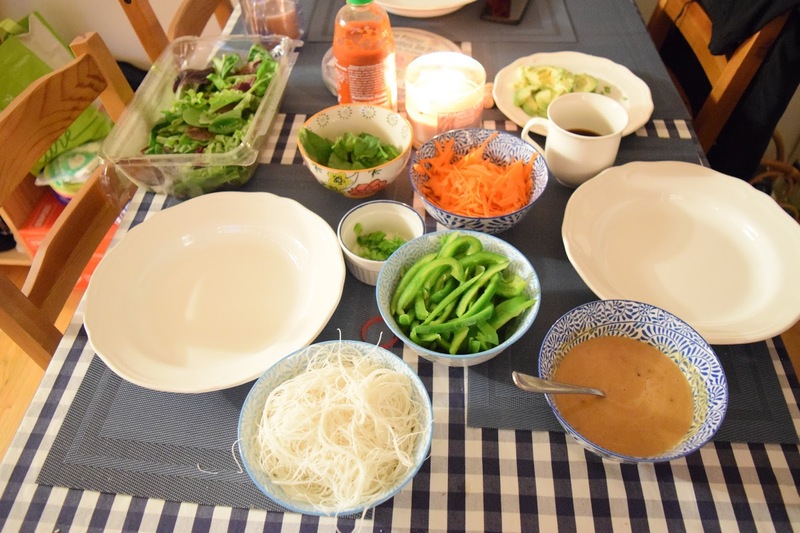 We had carrots (which I grated) and peppers (thinly sliced) to use, as well as an avocado and lettuce. You can also add cucumber. For garnish we had fresh mint and green onion from our window garden. I love how summery our table looks with our Dollorama placemats and one of our wedding tablecloths! The white pasta plate/bowls are Arv from IKEA, and the floral bowls are all from Home Sense. We struggled a couple times with finding the correct folding technique. Rice rolls are so weird to work with, you dip them in hot water and then they slowly melt while you’re filling them up. If you pull too hard to make the wrap, you might rip it, and then all the delicious sauce will come out!